Our Arlington Center for the Arts puppet series continues on January 7th at 2 pm with "Trolls in the Kitchen", a Swedish tale. 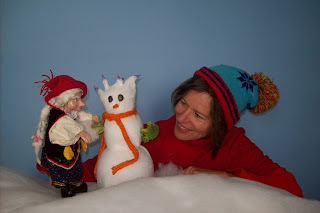 When the helpful tomte in Trinka's kitchen move out, raucous trolls move in. Please join us for the show, and stay for coffee and puppet-play afterwards. Tickets $5 at the door or by e-mailing me at galapagospuppets@gmail.com. Thanks to all who came out for Maggie Whalen's charming performance of "Goldilocks and the Three Bears on Decembe 10th.